There are a thousand-and-one jobs in the kitchen that are just a real pain to do. But all you really need to make life easy is the right tool for the task – and that’s where Chef’N comes in. They pride themselves on making nifty little gadgets designed to save you time and energy, and to make food prep fun again! Ah, citrus juices. Many of us buy them in bottled form now days, not wanting to bother with juicing – and therefore making a mess of the kitchen counter. 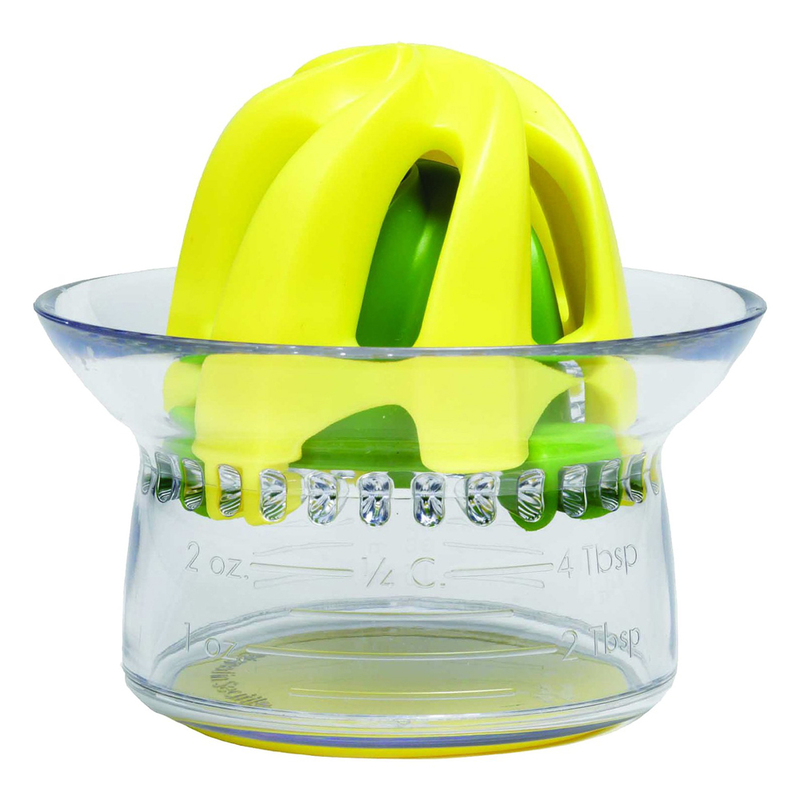 But you can count on less mess and more success with the Juicester Jr. Citrus Juicer and Reamer from Chef’N. Choose between the small reamer (without the clear attachment on top) or the large reamer (with the attachment). This two-in-one design makes the Juicester great for a range of citrus fruits, while its dual strainer system keeps pulp and seeds from your juice when you pour it from the container underneath. Two-in-one design allows you to remove the clear reamer attachment to juice smaller fruits, or replace it in order to juice larger fruits. Juice collects in measuring cup. Strainer system keeps seeds and pulp from your juice.